Stephen Paul Euton, 81 of McDermott died Sunday, November 25, 2018 at his home. He was born June 7, 1937 to the late Emanuel and Anna Ethel Brown Euton. Along with his parents he was preceded in death by his wife; Norma Katherine Essman Euton, who he married on September 16, 1957, a brother; Emanuel Eugene Euton and a son-in-law; Jim Culberston. Paul was a self-taught TV repairman and was the founder and co-owner of Euton TV in West Portsmouth for 45 years. He also worked at the A-Plant in Piketon. 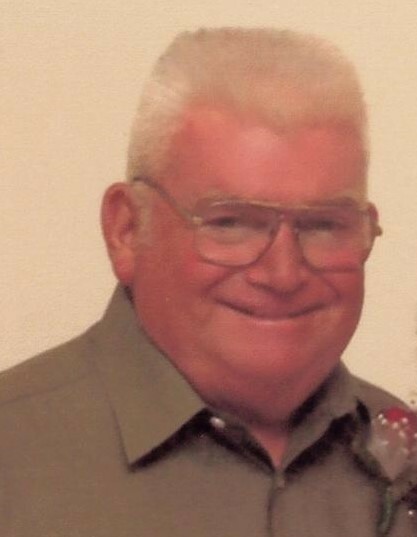 He was a founding member of the Union Township Volunteer Fire Department and a member of Lombardsville Community Church. He was also a farmer, and loved hunting and fishing. Paul is survived by a son; Stephen (Ruth) Euton of Norwalk, 4 daughters; Katherine “Kathy” (Ray) Harris of Stout, Barbara “Barbie” Culbertson and Charlotte (David) Hardy all of Lucasville, and Birgitta Tallila of Finland, 12 grandchildren; Stephanie (Joe) Frazee, Theresa Wellman, Casey Wellman, Christy (Jason) Bobst, Michael (Jill) Harris, Katie (Kyle) Trapp, James Culbertson, Mack (Kristina) Culbertson, Brittany (Derek) Spencer, Taylor Hardy, Emelia Tallila and Sofia Tallila, and 10 great grandchildren; Jenna Bobst, Ryland Bobst, Benjamin Harris, Katelyn Harris, Jackson Harris, Myziah Wellman, Murray Frazee, Carlie Spencer, Josey Culbertson, and Mack Culbertson Jr.
Family would like to send special thanks to the case manager, nurses, and aides from Professional Case Management Homecare. In memory of Paul, the family requests that donations be made to Lomdardsville Community Church. Funeral services will be 11:00 AM Saturday, December 1, 2018 at Lombardsville Community Church with Bob Davis and JD Stevens officiating and interment in Scioto Burial Park. Friends may call at the Roger W. Davis Funeral Home in West Portsmouth from 5 to 8:00 PM on Friday and one hour prior to the service at the church on Saturday. Condolences may be sent to www.rogerwdavisfuneralhome.com.